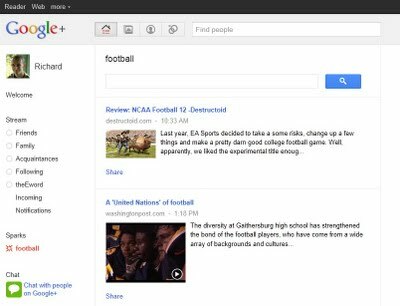 Google+ first impressions - better than Facebook? 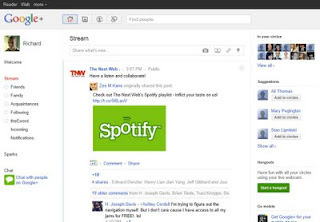 Is Google+ better than Facebook? That's the question being asked by everyone in social media marketing, and everyone at theEword since our invites came through. The registration process is still very hit-and-miss at the moment but, now people are starting to get in, we thought it was time to share our first impressions of Google+. "We'd like to bring the nuance and richness of real-life sharing to software. We want to make Google better by including you, your relationships and your interests. And so begins the Google+ project." Circles – Circles is a great idea. It allows you to categorise your contacts (Friends, Family, Acquaintances, Following & personalised ones), and select which contacts can see which posts. This stops your mum's newsfeed getting flooded with your thoughts on the latest gadgets, for example. The Following Circle is a particularly smart move – other people can see how many people are in your Circles and how many people have put you in theirs, which adds a competitive element as everyone can see if you're a trusted source of information (much like Twitter, in fact). Mobile support – It's no surprise to see mobile support feature heavily on Google+, given the emphasis Google places on Android. The standout features here are that you can choose to add location to each message, and request that photos are automatically uploaded to the cloud. A good start, but we can probably expect far more advanced mobile support in the coming months. Sparks – Sparks, effectively a ready-filled RSS reader, takes a scattergun approach to providing relevant information on your interests. To take just one example, my Football feed contains news about Scottish football, Turkish football and, um, American football. Hangouts – Described by Google as a "live multi-person video" tool, Hangouts sounds like something for technology geeks, rather than one of the main reasons to join as the company seems to think. These creases can be ironed out, but Google has more fundamental hurdles to overcome. Given the amount of personal data that Google already possesses (and the privacy disputes that regularly spring up around it), it's debatable whether people really want to volunteer more information about their current relationship status, work history and hobbies. Google may try to position Google+ as a social media platform with better privacy settings, but do people trust it anymore than Facebook? And that brings us back to the killer question - is Google+ better than Facebook? The answer is yes, but barely. 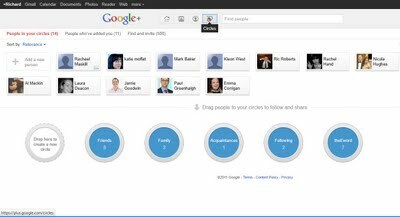 Google+ borrows a lot from Facebook and only adds a couple of revolutionary ideas like Circles (which can always be copied anyway). The main difference is that Facebook is already huge. Inside Facebook figures for June 2011 show that the platform has 30 million users in the UK alone, or 58 per cent of the online population. And new social media platforms are just empty shells unless they can attract enough people to reach a tipping point. Google+ is still in the testing stages. However, the current signs are that Google must do a lot more if Google+ is to pose a serious threat to Facebook.